WASTE CHALLENGE: NATO (the North Atlantic Treaty Organization) is an intergovernmental military alliance consisting of 28 independent member countries. They required a modular, transportable waste solution for its camp infrastructure. Mandatory requirements included transportability within a standard ISO container, was simple to erect and teardown without extensive training or technical personnel, was easy to operate – and meet EU emissions and discharge criteria. Because NATO can be deployed anywhere, the units also had to withstand any climatic conditions, from extreme cold to extreme heat. OUR SOLUTION: The Eco Waste field-proven ECO Mobile Incinerator was permanently containerized in built-for-purpose ISO shipping containers. These containers quickly interconnect using custom-engineered connections, and the entire assembly and startup takes less than one day. Each ECO Mobile Incinerator is comprised of a Primary Chamber, a Secondary Chamber, an Air Pollution Control device (scrubber), and a Continuous Emissions Monitoring System (CEMS), all combining to meet the European Community Directive 2000/76/EC for air emissions and waste water discharge limits – some of the strictest environmental regulations in the world. 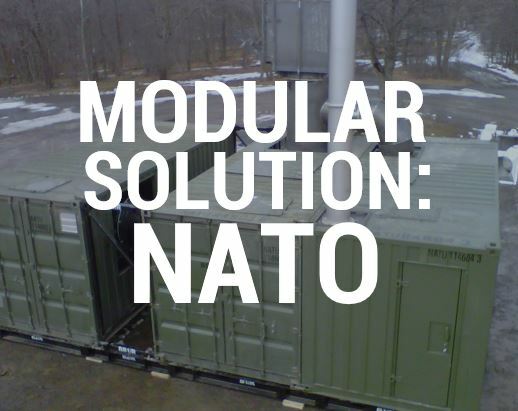 RESULTS: The ECO Mobile Incinerator package allows NATO Expeditionary Forces to be completely self-reliant in terms of waste management. The system was designed specifically with soldiers in mind. Engineered to be transportable, easy to assemble and operate, and came with a comprehensive Facility Manual that means soldiers can assemble, disassemble, operate, maintain and troubleshoot the system independently.